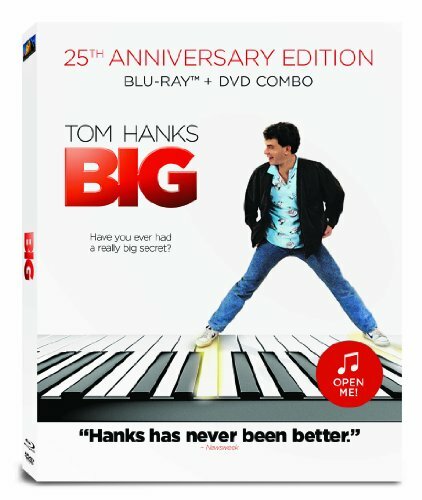 Two-time Oscarr Winner Tom Hanks* received his first Best Actor Nomination for his disarming turn as a 12-year-old man-child in Penny Marshall's timeless, "hilarious" (Newsweek) delight. Tired of being a kid, Josh Baskin wishes he was big. When he wakes up the next day, he's an adult! Now, Josh must hold down a job - and please a new boss (Robert Loggia). Tougher still, he must convince his best friend that he's still himself, and explain to a beautiful woman (Elizabeth Perkins) who falls for him, that he's not. Soon, Josh just wants to be a kid again, but can he? As exhilarating as it was during its acclaimed debut, the "warmhearted" (The Washington Post) Big is available as a Blu-ray+DVD combo pack!